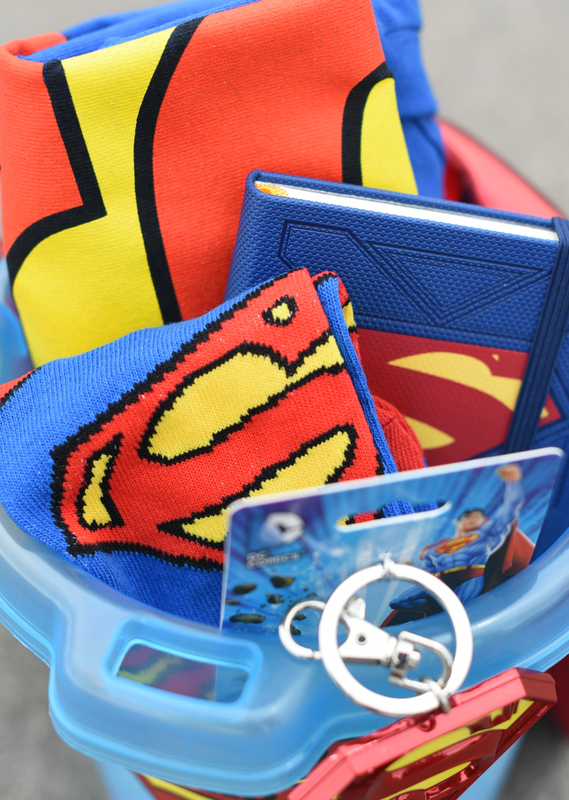 A Peek at the Fun: Tell Dad that you think he’s a real hero with this fun Father’s Day Superhero Gift Basket. 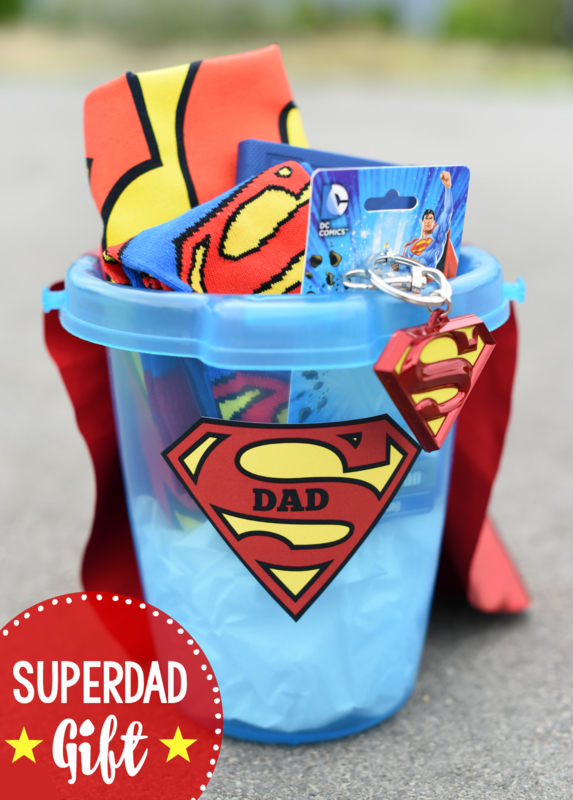 Fill a basket with all things Superman themed and add this cute Superdad tag for an easy gift idea for your favorite Dad! When you think of superheroes do you think of exploding buildings, evil villains, and men in tight pants? 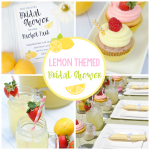 Or do you think of the guy that tucks your little ones in at night, plays catch with the kids outside and takes your little girl to her first Daddy Daughter Dance? 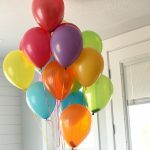 While we love the traditional superheroes and all that goes with them, we really love the superheroes under our own roof…our husbands and the fathers of our kiddos. 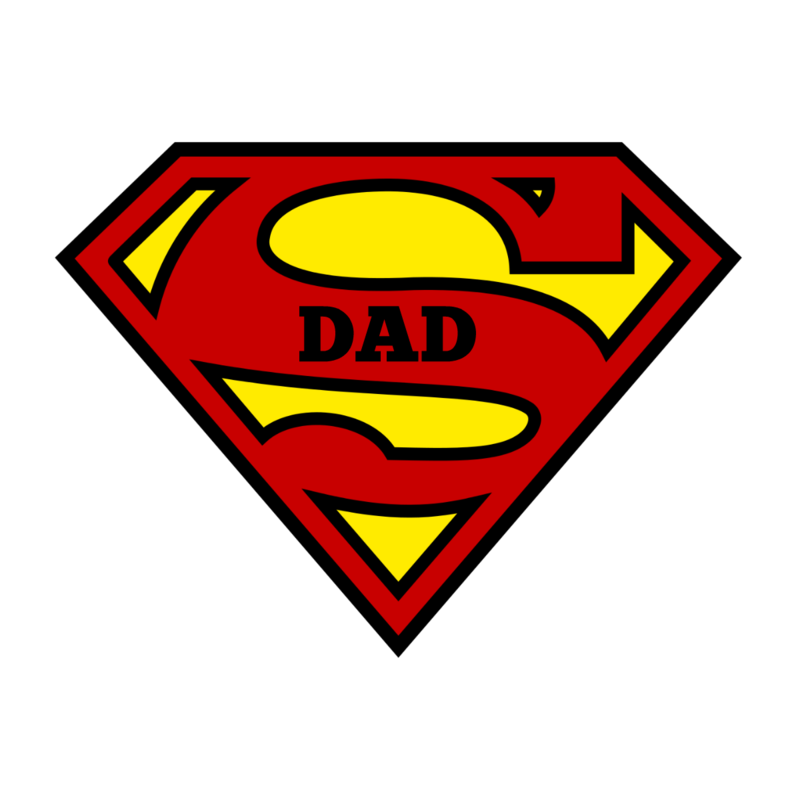 Got a Superdad of your own? 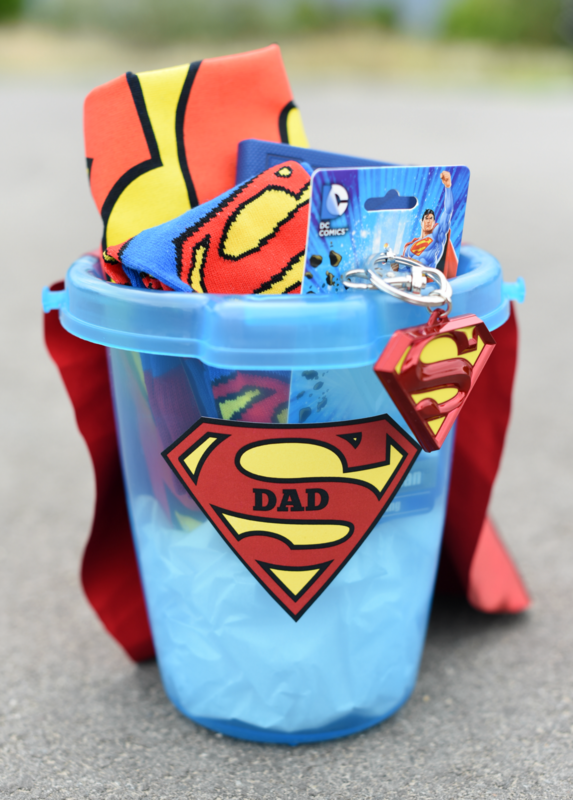 This Father’s Day Superhero Gift Basket is a perfect gift idea to tell Dad how great you think he is, plus it’s SO fun! Superhero stuff is so easy to find right now! 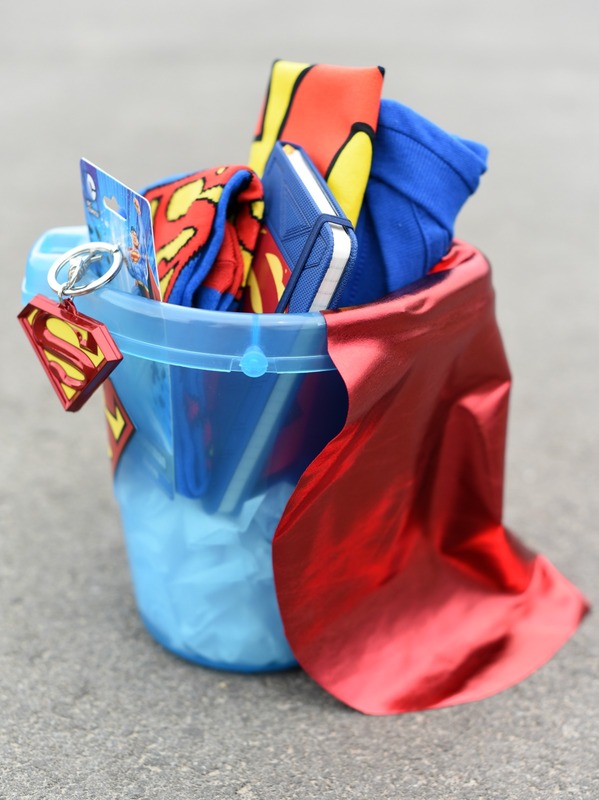 You can fill a bucket up with all things Superman so easily and he will love it! 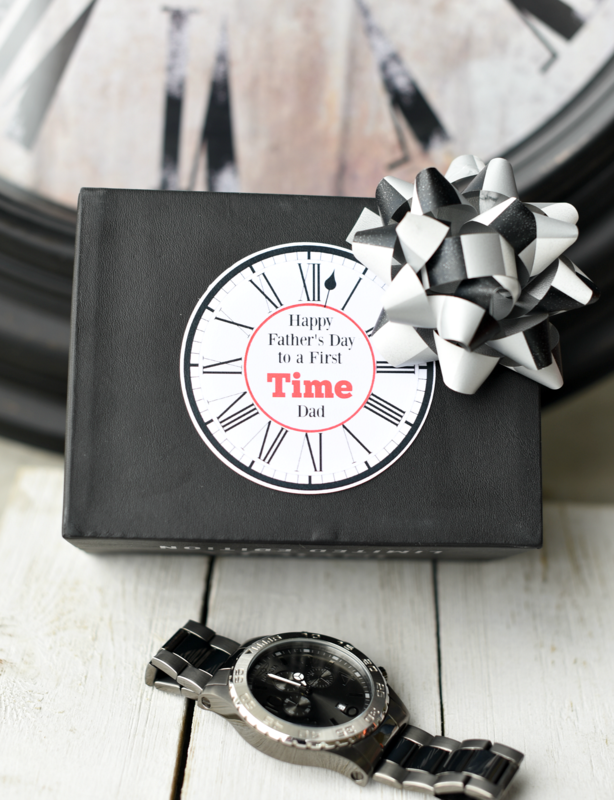 Such a great Father’s Day Superhero Gift idea! What else would you put in it? What do you think your Superdad would like? 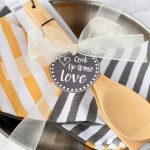 All you need to do is full up a cute bucket (we got ours in the Target dollar spot) and then add this cute tag below. 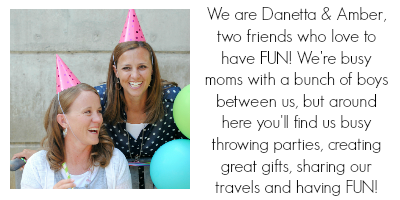 Here is a cute tag that you can put on the front of your gift. You can right click and save to your computer, then open in a program like Word or Pages, size how you want, then print. Or here’s a PDF with some on it ready for you to print. 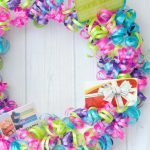 Add that tag to this Superdad gift and it’s perfect! 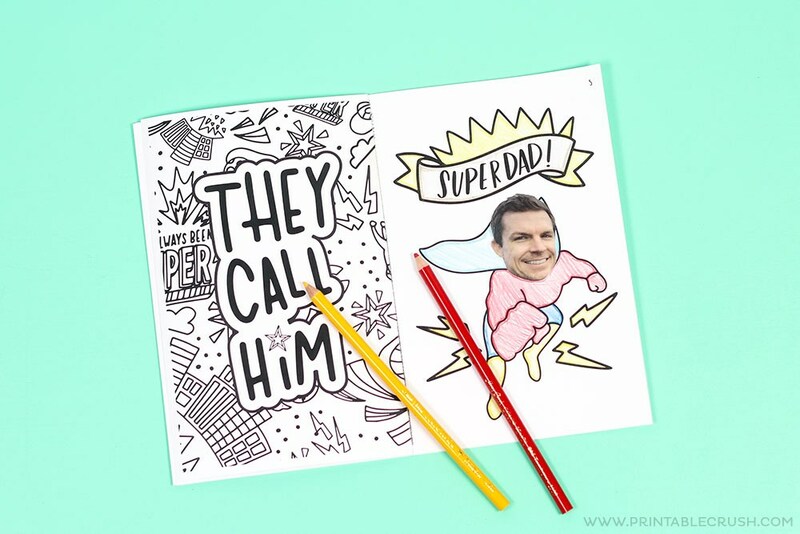 Here’s a perfect complement to your gift idea-a little coloring book Superdad card that the kids can do for him! 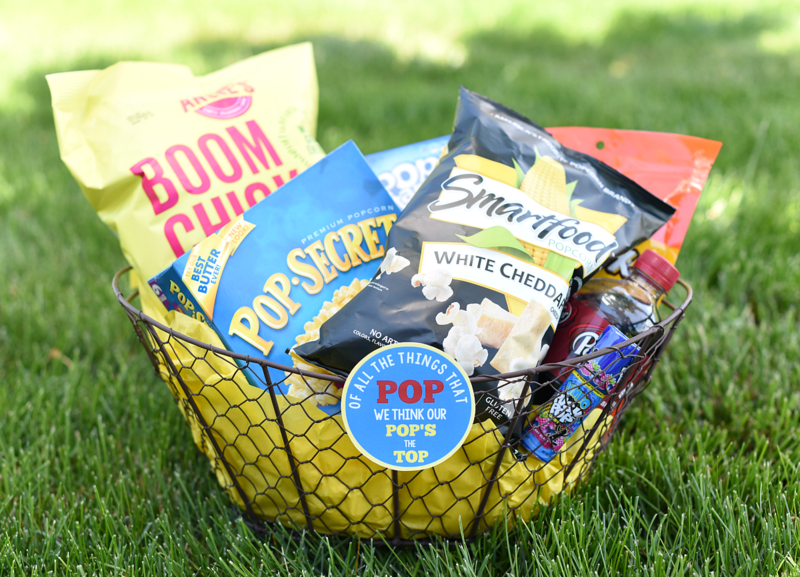 Have FUN giving this Father’s Day Superhero Gift Basket!